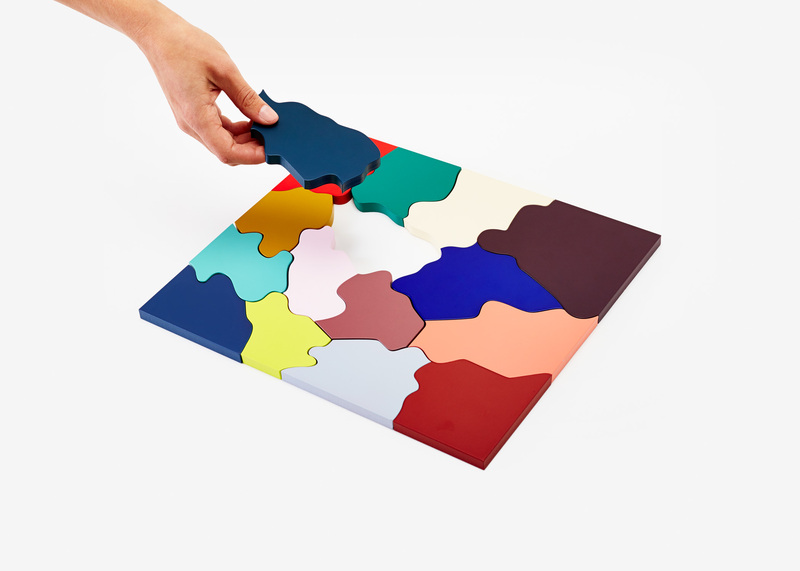 Last Spring we debuted a new piece by designer Clara von Zweigbergk, the Color Puzzle. A 15-piece wooden puzzle in the lineage of vintage chunky block-like floor puzzles but elevated by Zweigbergk's keen eye for color into a study of abstraction and complex color relationships. 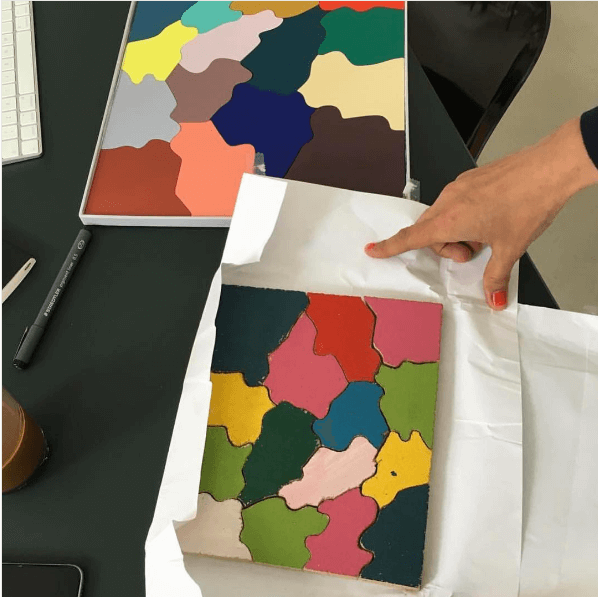 During a recent studio visit with Disegno Zweigbergk unwrapped her original Color Puzzle - a chipboard model that the designer made as a child. Read the full origin story below as told by Clara. "When I was a child I had this wonderful wood cabinet full of small small drawers with red velvet inside. It had some bigger drawers as well but I used the small ones most. It has now been left in the summer house and one rainy summer day my daughter and I decided to look it though. It was full of old coins, shells, marbles and letters, and in one drawer we found a set of puzzles. I had made them when I was 8 it said on the back. I had gotten my hands on some chipboard and my fathers handsaw and painted them with water color. Trying to piece them together we realized it was not as obvious as it seemed and I thought, it would be interesting to see how an updated version would feel. Working on it I actually decided to leave both shapes and colors very close to the original from 1978, it felt like the right thing to do."